Hi there!!! Welcome back!! If you are looking for the Jaded Blossom Stamp Release Hop just scroll down and check it out! If you are here for the 2nd Challenge you are in the right spot!! The challenge requirements for this challenge is to use a Jaded Blossom Stamp and the color green! It does not have to be St. Patrick's Day themed, although I couldn't resist because I just LOVE this set from Jaded Blossom! I used the newly released Flag Die from Jaded blossom with the St. Pattys day sentiment from the Luck of the Irish stamp set! I can't tell you enough how much I LOVE this die!! It really makes things so much easier and look better. 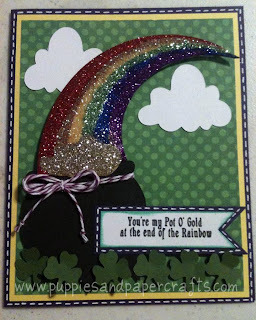 The pot of gold is from Simply Charmed. I love the glittery rainbow! Can't wait to see what you enter for the challenge! 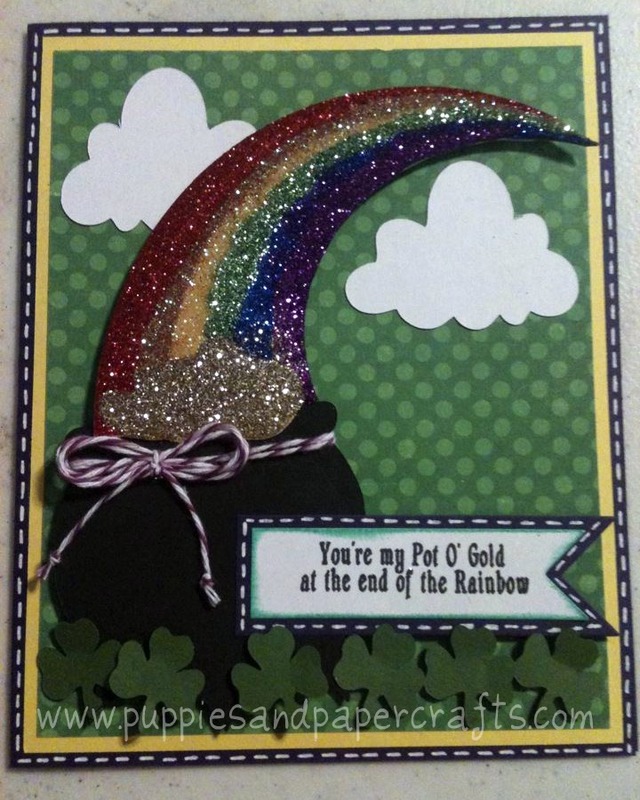 Love this card and the way you added all the bling on the rainbow so Pretty. what a beautiful card love the glitter. I <3 the glitter!!! Cute card!